From the beginning of his music ministry, Lecrae’s heart has always been dedicated to broaden the fans view of who God truly is. After extensive touring opportunities across the U.S. to large and small venues, from churches to outdoor stages with audiences ranging from the inner-city to the suburbs, Lecrae has gained a first-hand insight of the issues and struggles that people are facing. After having a chance to see how so many music fans, particularly the youth, are infatuated with modern-day rappers and multi-media stardom, Lecrae wants them to instead become infatuated with Jesus Christ. Hip-Hop has always been Lecrae's preferred form of communication, but it wasn't until he was rescued by Christ at the age of 19 that his Hip-Hop delivery reflected his faith in Jesus. Born in Houston and growing up in San Diego and Denver, Lecrae's sound is a versatile mix that delights Hip Hop/Rap fans from all parts of the nation. He brings a flavor to Christian Hip-hop that's reflective of southern rap currently dominating secular charts while still appealing to fans on both coasts. 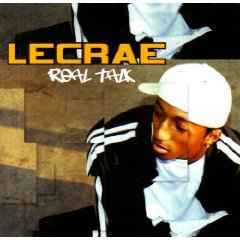 After generating a significant following and national buzz on the underground music scene, Lecrae was ready to let the world know about the God he serves so passionately with his debut CD "Real Talk" (2005). Lecrae's mind blowing lyrical skills and infectious beats connect with the listener emotionally in addition to delivering sound biblical knowledge. "Real Talk" is a genuine discussion of life and faith issues all believers face that proclaims the truth of God's character without compromise. Tracks like Take Me As I Am document Lecrae's struggle to accept God's grace despite his sinful past, while crowd pleasing, energetic tracks like Represent and Souled Out boldly encourage believers to live for Christ no matter what the cost. 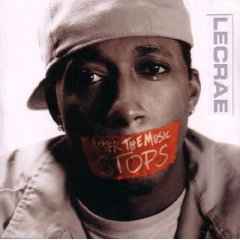 Lecrae returned with a much-needed message on his sophomore effort "After The Music Stops" (2006). Lecraes goal in "After the Music Stops" is to urge listeners to glorify God with their lifestyle by pointing them to the person of Jesus Christ. "Im all about representing Christ with your whole life whether that's in a crowd or in everyday life," says Lecrae. 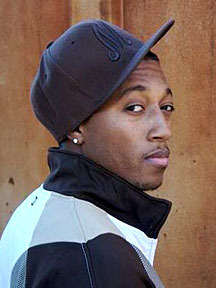 Songs like "I Did It For You" and crowd-pleasing tracks such as "Run" showcase Lecrae’s unique ability to mix his distinctive southern style into a versatile sound of authentic Hip Hop. 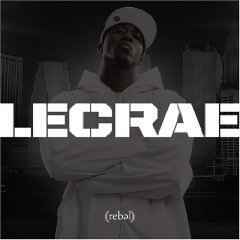 Lecrae's next release, "Rebel" hit the stores in July of 2008. On this record, the first thing that demands the listener's focus has to be Lecrae's openness--the transparency of his words; the cogency of his rhetoric; the totally unfettered, carefree pursuit of and joy in Truth in Christ. "Rebel" is sure to be an inspirational tool in the arsenal of those striving to live for the glory of Christ.